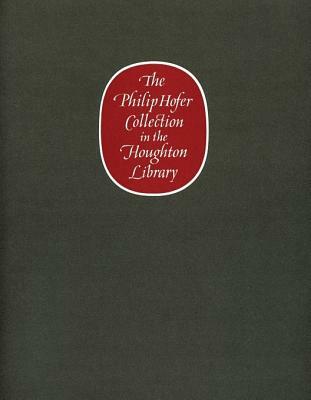 Philip Hofer, who founded the Department of Printing and Graphic Arts in the Houghton Library, was a curator and collector of great zeal and singular taste. In this exhibition catalogue his successor, Eleanor Garvey, explores the rich legacy Hofer bequeathed to Harvard: extraordinary manuscripts, writing manuals, illustrated books, and examples of fine and unusual printing. The objects of Hofer's fancy constitute a teaching collection and a scholarly resource of the highest kind. They also justify the reputation he earned over a long and unique career as the "Prince of the Eye.